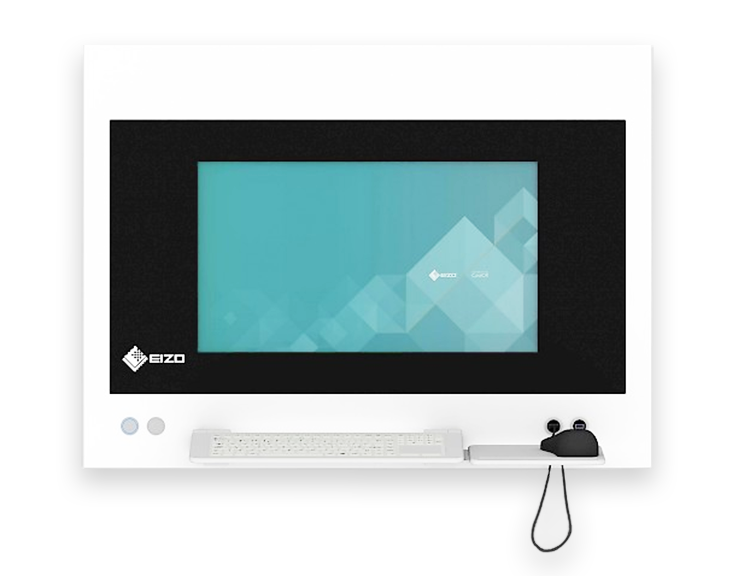 The EIZO Surgical Nurses Station offers an integrated 24inch monitor with built in IT and video management components. The Surgical Nurses Station is a multipurpose workstation which is integrated into the hospital’s IT structure for full access to PACS and HIS. The sealed housing is designed to minimise the risk of infection in the operating room with anti-reflective toughened glass and powdered steel allowing for easy integration into the theatres cleaning regime.